The handlebar type cylindrical from Puig color Black it's ideal to change the default one. Either because you have had a crash that has deviated your default handlebar, or simply because you want to put a handlebar that suits better to your style, this handlebar it's your ideal option. 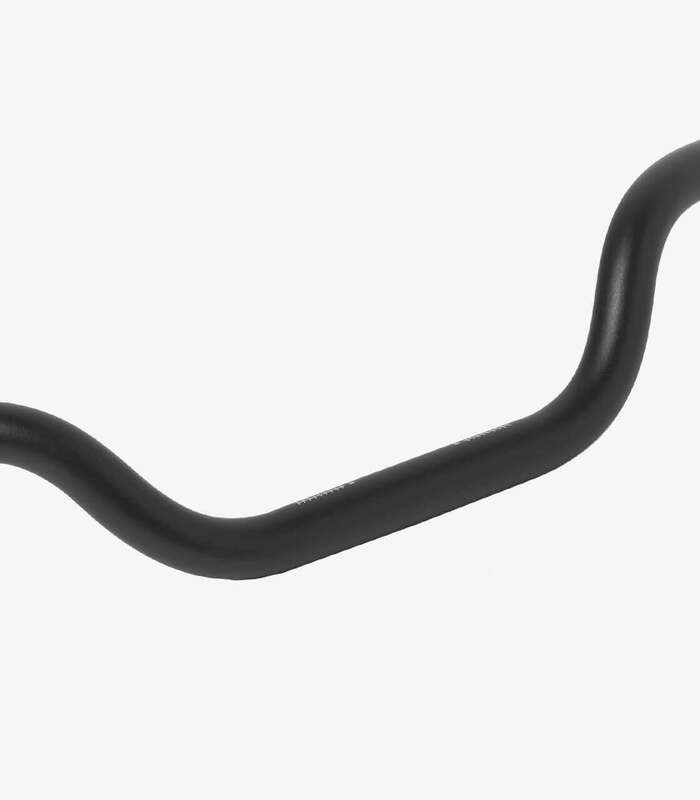 This handlebar is cylindrical, that means that the diameter of the center of the handlebar and the ends is the same. The diameter of the handlebar is 22mm in the whole tube. It's available in two different heights: 46mm and 76mm. The higher it is, the driving posture is more comfortable and straight. Conversely, when more lower be the handlebar, the position adopted is more racing. The handlebar that appears in the photos have 46mm height. Before acquire this handlebar, it's important that you confirm if the one you have now is cylindrical or conical, that is, if it has the same diameter in the center of the handlebar and at the ends. The handlebars have an internal thread of 14mm and you can adapt bar ends from Puig with thread or universal bar ends with Silent Blocks. The silent blocks are rubber cylinders that widen when you squeeze a screw, fixing it to the handlebar without need to use the thread. 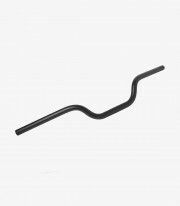 This handlebar has a width from end to end of 735 millimeters (73,5cm).